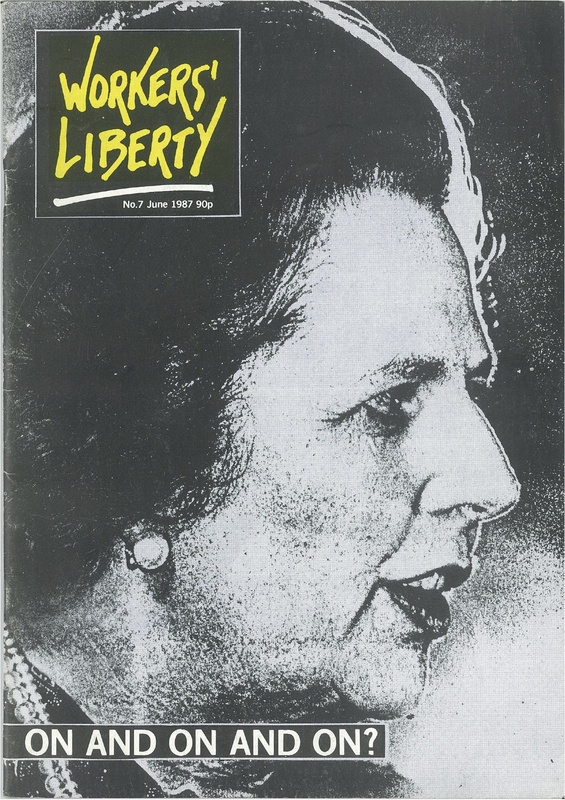 Tony Greenstein's first polemic on "Perdition"
ELECTION 87 - No, Socialism is not dying! Jim Allen is accused of being "vainglorious, boastful" and the campaign against the banning of Perdition is described as being "smart" and "disingenuous" ("The Perdition Affair" by John O'Mahony, WL6). Tony Greenstein praises and justifies 'Perdition' by pointing to some of those who are against it. That's altogether too crude. Yet it is the normal standard of judgement used by the two-camps left in world politics. * Kitch-Trots tango: John Alloway on the Workers' Revolutionary Party's (WRP) call for an open conference of Trotskyist Groups. C L R James joined the Trotskyist movement in the mid-'30s after coming to Britian from his native Trinidad; later he moved to the US and took part in the discussions with Trotsky published in the pamphlet 'Leon Trotsky on Black Nationalism and Self-Determination'. In this interview James also talks about his contact with James Connolly's daughter Nora, and his work in launching the first agitation for the independence of colonial Africa, in the 1930's, with George Padmore. We now see the bare steel, glass and concrete blocks of 'modern' architecture as epitomising capitalism and bureaucracy. Yet the 'modern' style was originally associated with the left. What went wrong? In Thatcher's Britian the spiv is hero and the profit gouger is king. But, awkwardly for the Tories, the new captains of capitalism keep getting caught up in scandals. In 1987 Labour's youth movements are set for re-organisation under proposals from Tom Sawyer, chair of the Labour Party NEC's Youth sub-committee. The proposals would abolish LPYS (Labour Party Young Socialists, a predecessor of 'Young Labour') representation on the NEC - instead it would be elected by a new structure, involving the Labour Party student organisation and trade union youth sections as well as the existing LPYS.